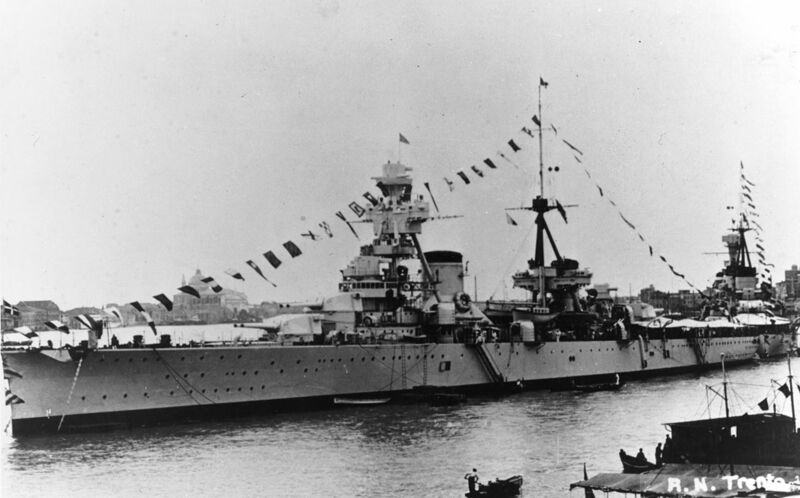 In 1920, Italy emerged from the conflict with old ships of low military value. 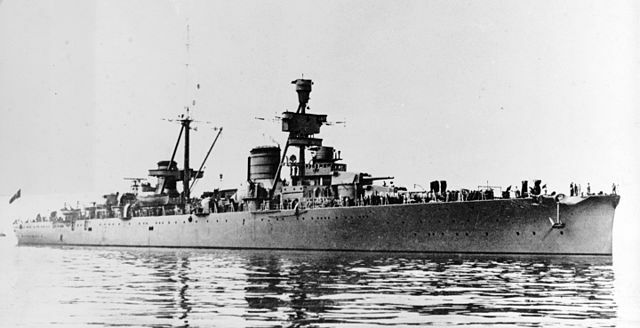 The Washington Treaty had set standards for heavy cruisers, and the arrangement of eight 8in (203 mm) twin turrets for less than 10,000 tons was followed by all Nations who studied them and started design paperwork on these during the 1920s. 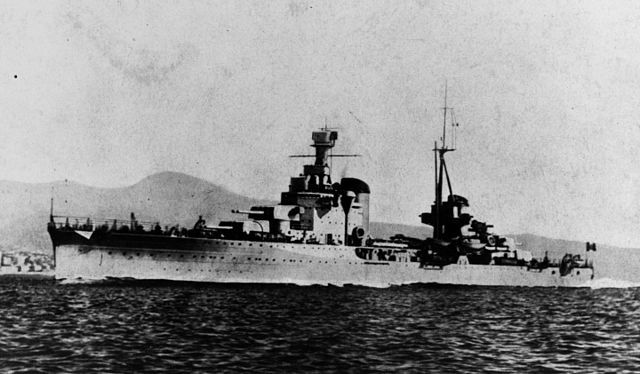 The Italians defined the Trento in the 1924 program as ships for which speed was paramount, as battle cruisers. 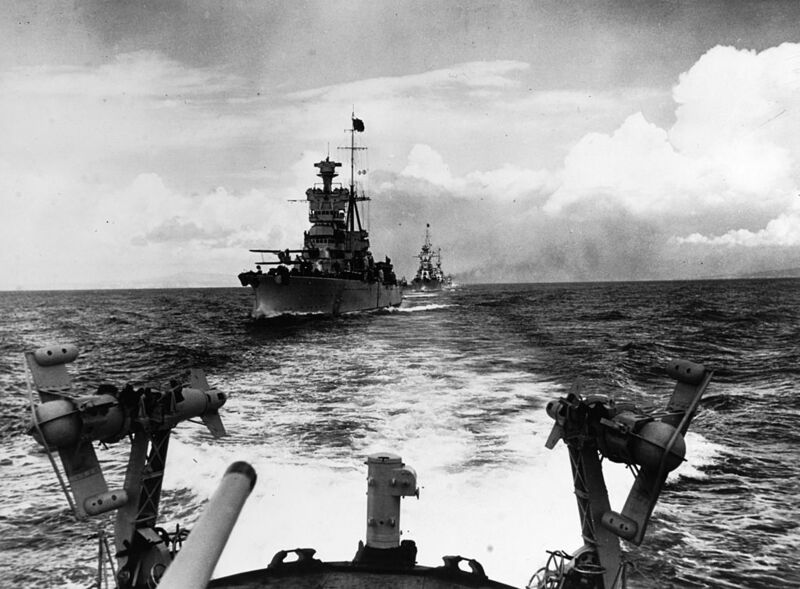 They had to escape battleships while posing a threat to all other types of vessels because of their armament. As a result of this guidelines, the Trento had only standard plate as protection, the internal shielding to the structure shaped as a “box” extending from the second to the third main turret. Turrets and gangway blockhouse were protected by 100 mm thickness. This light construction caused excessive vibrations at full speed at the level of the tripod masts and thus the positions of fire direction, defects eliminated by the reinforcement of these masts and the installation of reinforcements that made this speed fall to 31-32 knots. They carried also two seaplanes, launched from the catapult of the forward deck, in front of the turrets, housed in the shed located just in front of the first turret. Their main anti-aircraft artillery counted 100 mm single mounts, which had limited effectiveness, being basically old prewar guns taken to the Austrians during the great war, readapted to AA duty but keeping a weak range and rate of fire. They were replaced by new models in 1933. The AA was further augmented during the rearmament of 1937, with double 37 mm mounts being mounted instead. Their wartime career was short but very active. 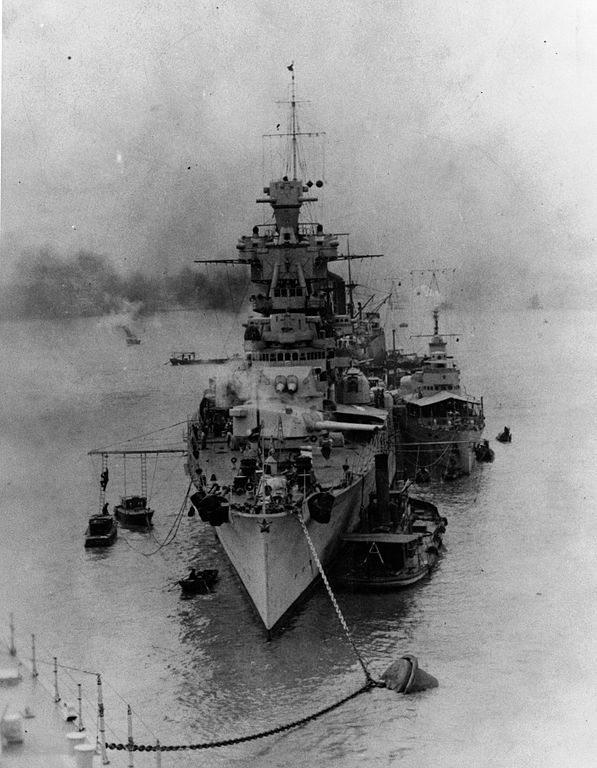 After the war broke out, the two ships participated in the Battle of Cape Matapan, the Trento being baptised in the action of Calabria in July 1940, then the second battle of the Great Sirte in March 1942 before being sunk by submarine HMS Umbra during operations against convoys to Malta, June 15, 1942. The Trieste, torpedoed in November 1942 while escorting a convoy by HMS Utmost, managed to return to Messina with several thousand tons of water below deck. She was sunk by an RAF aircraft in the harbor of Maddalena, Sardinia, on April 10, 1943. Third of the large Trento class (1929), the Bolzano was also the most heavily modified of the serie. 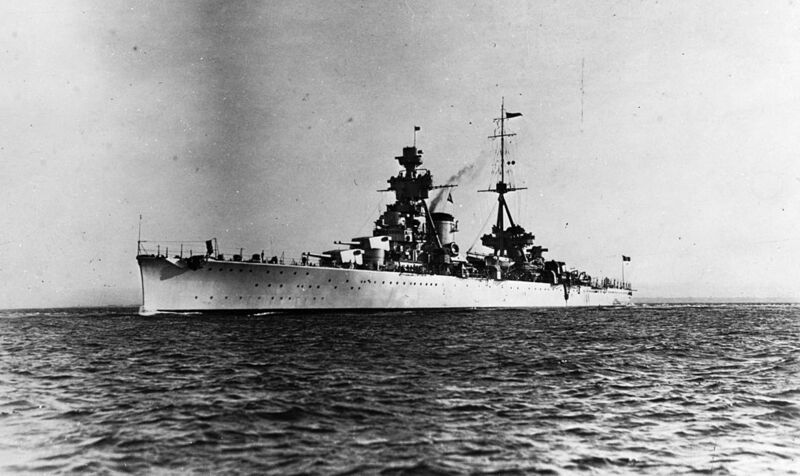 Heavy cruiser Bolzano was originally ordered on the same design than previous Trento and Trieste, but revised and corrected following the construction of the four Zara. The latter had better protection at the cost of their speed. 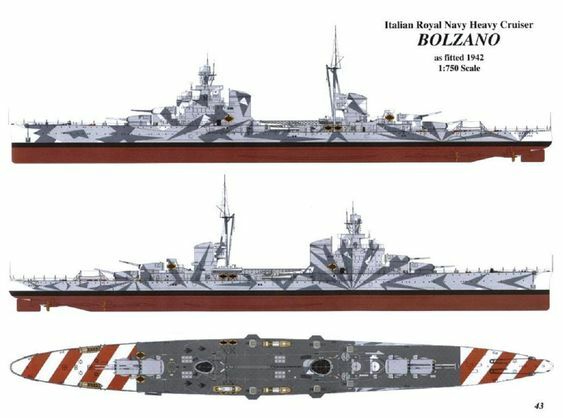 With the Bolzano, designers tried to appy the same principles to a larger hull. Therefore construction was put on hold in 1930 and completed in 1932, commissioned the following year. Of comparable dimensions and tonnage to the Trieste, her hull was however given a forecastle, and its superstructure completely modified: Instead of a simple tower anchored on the front tripod mast, the structure both englobed the tripod mast and front funnel being much larger and roomier. 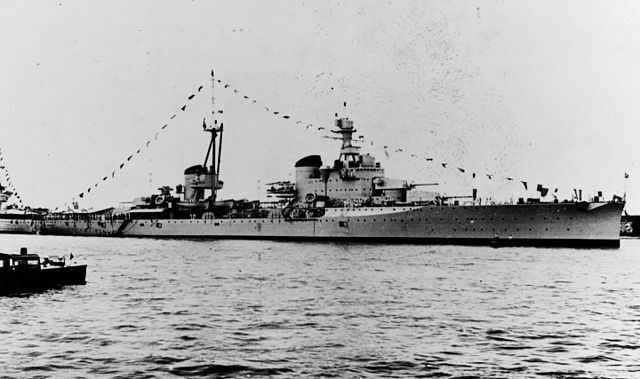 The Bolzano had eight 8in (203 mm) pieces in four twin turrets, complemented by eight double 100 mm, four single 40 mm guns, and eight 13 mm Breda heavy machine guns mounts, in addition to the two fixed flanks TTs. The powerpkant had been split into two units so as to build a central hangar for three seaplanes, served by a catapult between the two funnels. The power unit had been split into two units so as to build a central hangar for three seaplanes, served by a catapult between the two funnels. In 1938-39 this armament was revised. One of the 100 mm double turrets was landed for four more 20 mm and later four additional 20 mm mounts in 1942. At the Battle of Calabria Bolzano was hit by three shells. Later in 1941, she was torpedoed by HMS Triumph, then in 1942 by HMS Unbroken and remained in drydock until the Italian capitulation in La Spezia. The Italians themselves sent it to the bottom with MAS75 MTB to avoid her capture by the now hostile Germans. She will be refloated and broken up after the war. 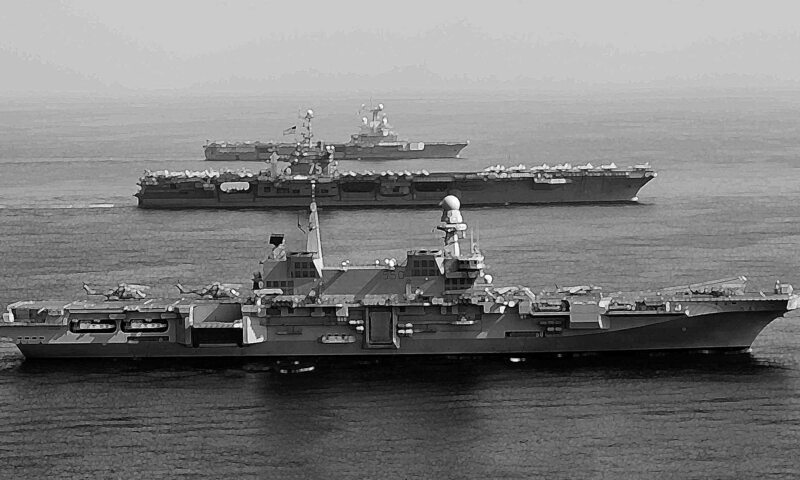 Displacement and dimensions: Tonnage 10,886 – 13,865 PC, 197 x 20.60 x 6.80m. Armament: 8×203 mm ( 4×2), 16x100mm (8×2), 4x40mm, 8x13mm AA, 8 (2×4) TT 533mm.